When you take pride in your laptop, it’s only natural to want to protect it when you’re out and about. 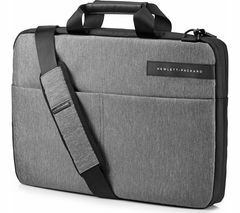 Laptop bags are the ideal way to ensure your laptop is kept safe from the outside world and free from the dents and scratches that can happen when you’re on the go. 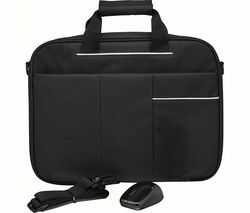 A laptop bag is ideal if you travel with your laptop. Crowded trains and erratic bus journeys can all cause wear and tear on your laptop if it’s not covered up and protected. Laptop bags come in all shapes and sizes so no matter what your style, you’ll always find a bag that perfectly complements your look, without compromising on protection. Whether you’re after a solid backpack that can also hold your book and a packed lunch or you’re after something that is as stylish as it is robust such as a hand held messenger bag, it makes sense to keep your laptop safe from harm when you leave your home or the office. Laptop bags can be fashionable as well as practical and can give you some much needed peace of mind when you need to transport your laptop from place to place. 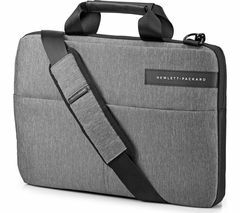 The Goji GFLB13 16" is a compact, canvas Laptop Bag that looks great and will keep your laptop safe, even when it’s raining.